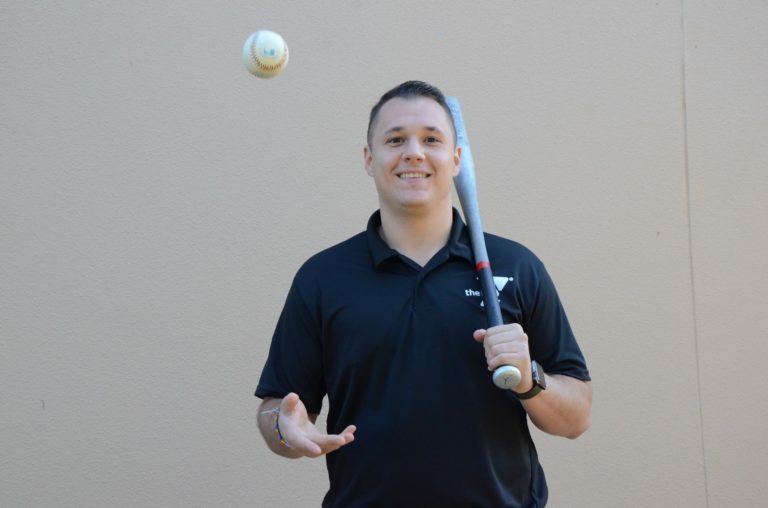 Plant City Family YMCA Sports Director A.J. Hernandez is working to revamp the local youth sports scene. A.J. Hernandez may be far from his native Tennessee, but he’s right at home in his job. Hernandez, the new sports director of the Plant City Family YMCA, fits the textbook definition of a “lifer.” One of several new additions to the Plant City staff, he hopes to channel his energy and passion into YMCA sports and build strong, consistent programs here and at his other branch, the North Brandon Family YMCA. Hernandez was born and raised in Chattanooga, Tennessee. He and his two siblings went to their local YMCA branch for after-school programs, camps and sports, and he says the branch did a great deal to help their mother — who was raising the kids by herself. After graduating high school in 2006, Hernandez went to the University of Tennessee to play baseball and study political science. The center fielder needed to complete volunteer hours for school, and finding somewhere to complete them was easy: he spent several summers as a YMCA camp counselor, and the experiences he had stuck with him. Originally, Hernandez’s plan was to become a lawyer. But a post-graduation internship at a corporate law firm ended up being a wake-up call, telling him that he wouldn’t be happy if he continued working in a field that didn’t line up with his personal beliefs. Hernandez went back to the Chattanooga YMCA and joined the staff as a camp and after-school director. He worked there until January 2013, when he moved to Florida and became a program director at the East Pasco YMCA in Zephyrhills. While at East Pasco, Hernandez oversaw camps, sports, aquatics and other ventures undertaken by the branch. He also became a part of the community, joining the area’s chamber of commerce. In March 2015, Hernandez moved to Brandon and became the branch’s sports director. He was tapped to join Plant City’s staff just over a year later, and has been working with Executive Director Zach Hilferding and his retooled staff since September 2016. Hernandez oversees all sports in both locations, and sees potential in the Winter Strawberry Capital of the World. A long-term goal of his is to develop the YMCA’s sports leagues enough to make them competitive, giving people the best league experiences they could ask for. But, to get there, Hernandez wants to hit several short-term marks. At the top of Hernandez’s list is the need to stay consistent: that is, to ensure that the YMCA is always offering quality programs and informing the public about programs throughout the year. Ideally, Hernandez says, no one would ever have to ask when a certain sport will be played. He’s also hoping to ensure that current sports programs are focused on teaching kids the fundamentals of the sport and fostering safe, fun environments, above all else. Hernandez is hoping to bring on coaches that are willing to teach kids without pressuring them to perform at a high level. He’s all about looking good while having fun, too. He hopes to have all programs follow the lead set by flag football, which recently got camouflage jerseys he describes as, “super sweet,” and get high-quality uniforms for everyone. “You’ve got to look good to play good,” Hernandez says.